Towards the end of the third year of medical school, medical students are tasked with selecting from a seemingly unlimited list of electives to formulate a fourth year schedule. I saw this as an opportunity to partake in fascinating areas of medicine that differed from my ultimate career goals. My highlighter met with titles like cardiothoracic surgery, vascular surgery, neurosurgery, and surgical oncology. It felt like a natural progression to apply to surgical internships less than a year later. This decision has been met with shock by those I worked with throughout my intern year and even by my new radiology colleagues as we complete our first week of radiology residency. Most people could not fathom why I would subject myself to the rigors of a surgery internship. But the mystery often evaporates when they realize that I intend to become an interventional radiologist. 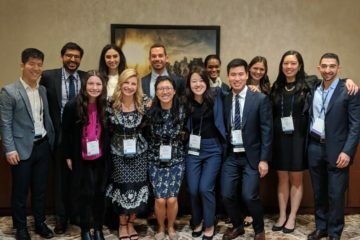 At the Society of Interventional Radiology annual meeting in San Diego this last March the results from previous medical student surveys make it clear that the field of Interventional Radiology (IR) is attracting young clinicians who are secondarily interested in surgical subspecialties. This is only logical. Interventional radiology requires clinical decision making and periprocedural care, in addition to a mastery of procedural technical skills. Surgical specialties are no different. As someone transitioning from medical school to residency with the intent to pursue a diverse IR practice, it was important to maximize my exposure to clinic, clinical decision making, and the operating room in a variety of surgical subspecialties. A surgical intern in many programs participates in outpatient clinics having the opportunity to review CT scans with patients after placement of thoracic endografts or to observe the progression and post-procedural resolution of varicose veins in vascular surgery clinic. Biweekly tumor board meetings were required on surgical oncology rotations at my institution. 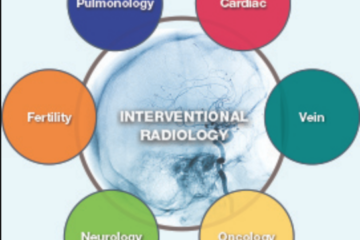 At more than one tumor board, input from the interventional radiologists in the room and their comprehensive understanding of National Comprehensive Cancer Network (NCCN) guidelines drastically changed the course of patient care. General surgery rotations gave me the opportunity to fully experience hepatobiliary anatomy while performing laparoscopic cholecystectomies, largely unassisted, or assisting with intraoperative cholangiograms. No other internship or transitional year could offer all of these valuable opportunities. The transition to residency, by way of a surgical internship, also had the immense benefit of allowing me to befriend the forever-busy and frequently-elusive general surgery residents at the same institution where I am continuing on as a radiology resident. These residents will become the general, oncologic, pediatric, cardiothoracic, colorectal, and vascular surgeon colleagues that I hope to work with daily in my future interventional practice. At some institutions, surgical teams are responsible for managing patients following IR procedures. Trauma surgery necessitates the comprehension of the clinical guidelines for splenic, hepatic, and renal embolization in blunt abdominal trauma and the appropriate post-procedural care. Surgical teams at my institution’s affiliated Veteran Affairs hospital admit and manage patients following chemoembolization or complicated biopsies. While it was beneficial to have the learning opportunity to care for these patients as a surgery resident, interventional radiologists need to play an increasing role in the care of their patients, starting with obtaining admitting privileges for their post-procedural patients. 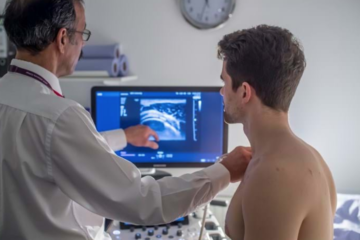 Fortunately, with the advent of interventional radiology as a primary medical specialty, there will be a growing emphasis on training clinical IRs in the new IR/DR residency training programs. With this transition, the future of IR and patient care looks very bright. A surgical internship will continue to provide a well-rounded clinical year, with the enjoyment of hands-on therapeutic interventions while laying a foundation for periprocedural care and IR-relevant clinical decision making, even once the IR/DR residencies are well established. When applying to surgical internships, I anticipated the significant demands and the deprivation of sleep that lay ahead. My goals to strengthen my clinical decision making skills in a clinic and hospital setting were well defined. I was only blindsided by one thing. I could never have fathomed, and still to this day do not fully understand, the outpouring of respect from surgical attendings and residents alike for selecting a general surgery preliminary year prior to continuing onto a radiology residency. My “year of voluntary torture,” as one of my surgical attendings would define my internship, was uniquely enriching and laid a solid foundation onto which I will continue to build throughout my career.